Credit card authorization and verification must be received prior to processing your order. 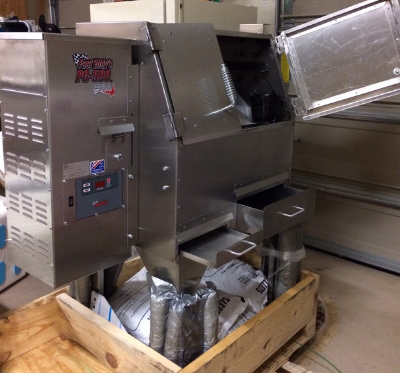 Our smokers are made to order; we will contact you when your order is ready to ship. We use FedEx Ground, FedEx Ground Home Delivery, and FedEx Freight. The buyer will pay the FedEx shipping rates. FedEx deliveries occur Monday through Friday, excluding holidays. FREIGHT: All shipments are FOB factory. The buyer will pay all freight charges (including return freight.) Responsibility for filing damage claims rests with the consignee. IMPORTANT: Refuse to accept damaged goods, or have a full description of damage written on the freight bill of lading and endorsed by the driver. When you receive your shipment, uncrate it and carefully inspect it before you sign the bill of lading. If you do not note damaged goods on the bill of lading, you forfeit your chances of collecting a claim.